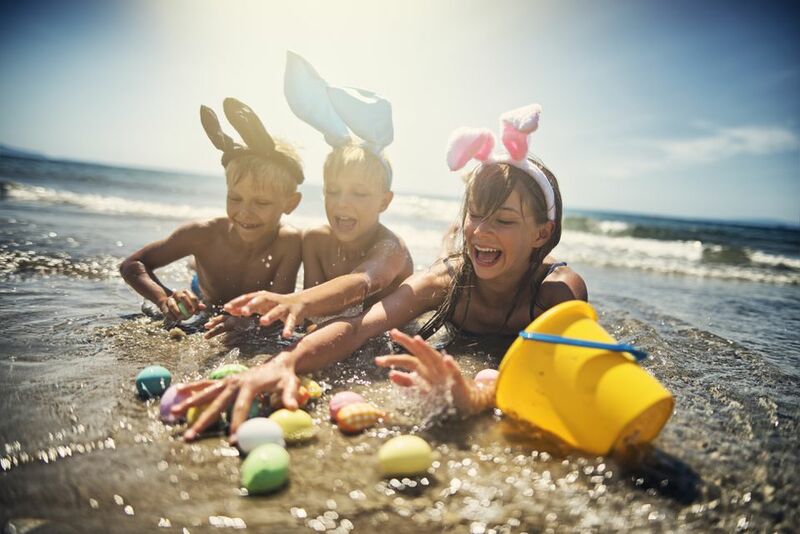 At many schools around the country, Easter weekend falls during spring break, making it a prime time for a family escape. Whether you're interested in attending a long-running historical Easter event or going off the grid at a woodsy resort, there are a number of ways to spend your Easter holiday—and at least one of them is sure to satisfy everyone in the family. Will you be in Washington, D.C. for Easter Monday? Dating back to 1878, the White House Easter Egg Roll is an annual family event on the South Lawn where families can enjoy lawn games, music, storytelling and a visit with the Easter Bunny. The week of Easter is a peak holiday period at Walt Disney World, so you can expect fairly big crowds and higher prices at the resorts. Holiday experiences include Easter services, special parades, Easter-themed arts and crafts, games, Easter egg hunts, and special meet-and-greets with Mr. and Mrs. Easter Bunny in Town Square on Main Street U.S.A. in the Magic Kingdom. Back by popular demand, the Epcot Egg-stravaganza will take place in the weeks leading up to Easter during the Epcot International Flower & Garden Festival. Oversized Easter eggs painted with Disney characters are hidden throughout the World Showcase. Families can purchase a special map with a set of stickers to mark each egg discovery. When finished with the egg hunt, you can present your map to receive a prize. A highlight of springtime in New York City since the mid-1800s, the annual Easter Parade and Bonnet Festival takes over Fifth Avenue on Easter Sunday. Don't expect to see floats; this event is all about over-the-top haberdashery (think ten-foot-tall hats and bonnets with live birds nested inside) and fancily-outfitted pets. For prime viewing, go to St. Patrick's Cathedral. Great Wolf Lodge made its name as a chain of indoor waterpark resorts, but it's evolved into an all-under-one-roof family resort with plenty of wet and dry attractions. With 13 locations (including the newest, in New England and Southern California), millions of families live within driving distance of a Great Wolf Lodge. Over Easter weekend, festivities include an "Easter Eggstravaganza" with three-legged races, ring toss games, and Easter raffles with prizes. There will also be jelly bean counting contests, face painting, character appearances, story times, and a dance party. Visit Chocolate Town USA in Hershey, Pa. In "Chocolate Town USA," the smell of chocolate drifts through the air all year long. At the elegant Hotel Hershey and mid-priced Hershey Lodge, Easter brings another layer of sweetness thanks to cookie decorating, egg hunts, bingo, character appearances, and a Hershey's Kiss hunt. The Easter package includes accommodations, tickets to Hersheypark, Saturday breakfast, Easter Sunday breakfast, and more. Congress Hall is a Victorian beachfront resort in Cape May, N.J., with plenty of history and tradition. The Easter weekend celebration includes a brunch buffet in the hotel’s ballroom, two Easter egg hunts and potato sack races on the sweeping hotel lawn, a scavenger hunt, and rides on the Congress Hall Express mini train. Easter at The Del includes a legendary Easter champagne brunch buffet and a special children’s buffet for little ones. (Children under five eat free.) The hotel provides three different hunts on its spectacular oceanfront Windsor Lawn to include children of all ages. There is no cost for the egg hunts and baskets are provided. At the south end of the Windsor Lawn, a fun zone offers crafts for all ages. Copper Mountain, a family-favorite ski resort in Colorado, hosts the state's largest Easter-egg hunt, scattering over 50,000 eggs throughout the resort and village. Kids can redeem special "copper" eggs for prizes such as ski lessons, gift cards, T-shirts, and other goodies. Other Easter festivities include egg decorating, egg roll races, and visits with the Easter Bunny. Myrtle Beach's Marina Inn at Grande Dunes has planned an Easter weekend jammed with family fun: Egg and cookie decorating, a family movie night, s'more roasts, an egg hunt, Easter brunch, and visits with Mr. and Mrs. Cottontail. There's also usually live music during brunch—expect a lot of Jimmy Buffett! Kids stay and eat free Easter weekend at Mohonk Mountain House, a gorgeous all-inclusive castle resort about two hours north of New York City. Easter activities include an Easter egg hunt with the Easter Bunny, nature programs, arts and crafts, evening entertainment, and a lavish Easter buffet. Woodloch Pines Resort, in Hawley, Pa., is an all-inclusive Poconos resort that's award-winning and a kid-friendly favorite. For Easter weekend, Woodloch has scheduled egg hunts, a petting zoo, arts and crafts, and children’s party with the Easter Bunny. Plus, kids under 12 years old stay free. For adults, the resort hosts an entertaining Broadway-style show, "The Diamond Jubilee." Do you love golf? This hallowed North Carolina golf resort is surprisingly kid-friendly. Easter weekend festivities include a scavenger hunt, bounce houses, face-painting, an egg toss, Easter egg hunt, plus ways for families to play some golf together. There's even an ice cream "Egg-stravaganza," concluding with roasted s'mores by the fire pit at the end of the evening. Festivities kick off on Saturday at the Mad Hatter’s Silly Spring Party with bounce houses, carnival games, “Bunny Hop” sack races, face painters, balloon artists, and live music. On Sunday, a sunrise service will be held on the resort’s private beach followed by an egg hunt featuring over 10,000 colorful eggs filled with toys and candy scattered about the resort’s golf course—that's more eggs than at the famous White House Egg Roll. There will also be a lavish brunch buffet and the Easter Bunny will make appearances throughout the weekend. Gaylord National Resort has partnered with the company that makes Peeps to create a family package for the Easter season. Available on select Saturdays before Easter, the Peeps Easter Event Package includes a one-night stay, $50 resort credit, $10 gift card to the Peeps store in National Harbor, and a Peeps kids craft activity, and an Easter egg hunt for kids age 12 and under. Guests can also participate in a Peeps scavenger hunt for plush Peeps chicks hidden throughout the hotel’s 1.5-acre atrium and main lobby area. With more than a week of special programming, Kiawah Island is a fun place for families to be for the Easter holiday. There's a disc golf competition for all ages and special activities for teens, such as a teen-only GPS Island Race where teams use a handheld GPS to locate clues around the island. On Easter Sunday there is a sunrise service on the beach, followed by an Easter egg hunt and egg toss in Night Heron Park, a sand-sculpting contest, and Easter Sunday sundaes. At Disneyland Resort in Anaheim, holiday experiences include Easter services, special parades, Easter-themed arts and crafts, games, and special meet-and-greets with Mr. and Mrs. Easter Bunny. In addition, Disneyland Resort hosts Egg-stravaganzas in both Disney California Adventure and Disneyland. Oversized Easter eggs painted with Disney characters are hidden throughout both parks and families can purchase a special map ($5.95, available at designated gift shops) and set of stickers to mark each egg discovery. When finished with the egg hunt, you can present your map to receive a prize. Where to warm up after the ever-so-long winter? Thaw out at The Wigwam, an 80-year-old landmark resort in the West Valley of Phoenix renowned for its golf, spa, dining and four pools, including a new main pool featuring separate kid and adult zones, dual waterslides, water play features, and luxury cabanas. During Easter weekend, there's a big egg roll on the lawn, an egg hunt for kids under 10, a lavish Easter brunch and, of course, a visit with the Easter Bunny, who arrives by helicopter for the festivities. El Capitan Canyon is a luxury camping resort nestled in the Santa Ynez Valley in Santa Barbara, Calif. Families can stay in cedar cabins, safari tents or adventure yurts in villages throughout the canyon. The resort is offering a special Easter brunch buffet, along with a 3,000-egg hunt for the kids and a wine-tasting event for parents. 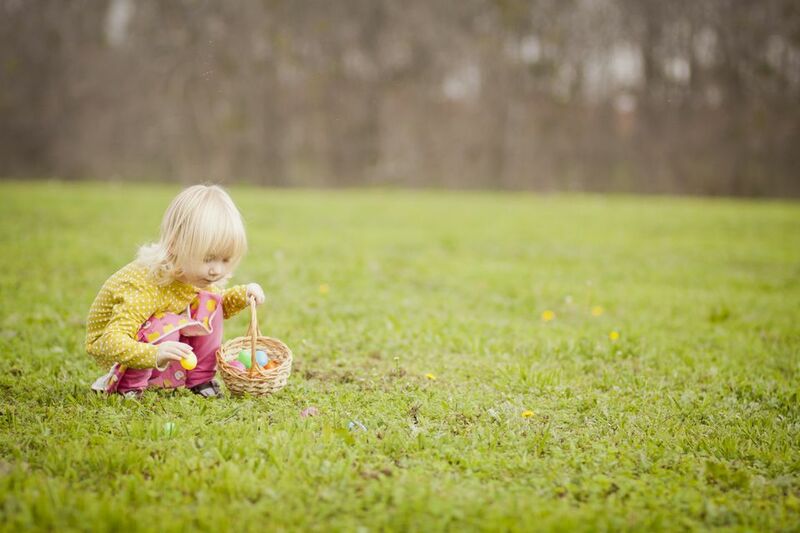 Children can take part in the egg hunt beneath historic sycamore and oak groves, right after a special pre-egg hunt for little ones age four and under. Kids can also look forward to meeting El Capitan’s very own Easter Bunny. The week leading to Easter, El Conquistador Resort is offering photo opportunities with Mr. & Mrs. Easter Bunny, egg decorating, face painting and multiple egg hunts, including a soaking egg hunt in the pool. For teens, there is a night-time egg hunt, a black light water volleyball party, speed slide competition, a Honey Bunny spa facial and more. On Easter Sunday, the resort will hold an Easter mass in its Grand Caribbean Ballroom. Parents looking to give their children an extra treat can also arrange for holiday baskets to be delivered by the Easter Bunny. The Broadmoor in Colorado Springs, Colo., is a historic and grand property that really delivers for families. The resort is offering a weekend of fun-filled activities for the whole family, including Bingo, egg hunts, laser tag, jewelry workshops, and even photos with the Easter Bunny. The plush Arizona Biltmore in Phoenix has dazzled guests since 1929. The resort is promising an Easter extravaganza full of fun, with appearances by the Easter Bunny and a gala egg hunt, an Easter petting zoo, a fun photo booth, and face painting. Families will also love the Adrenaline Extreme Inflatable Obstacle Course, rock climbing wall, bunny hop sack race, and egg-on-spoon race. The festival atmosphere is complete with a cotton candy machine, popcorn machine, bubble machine, snow cones, helium balloons and more. In addition, the resort's historic Gold Room, with its dazzling tapestries and gold-leaf ceiling, will host a lavish Easter brunch. Meanwhile, kids up to age 12 can have fun at the Kids Korral, a canopy-covered playground with a safe, rubberized floor. According to HomeAway.com, the largest online vacation rental listing site, Americans are flocking to Florida's theme parks and beaches. Eight of the 10 markets driving the most inquiries for vacation home rentals over Easter weekend are in the Sunshine State—all of them beach towns except for one. The remaining two destinations in the top 10 are also popular southeastern coastal spots. Tucked away in the Adirondack High Peaks of Lake Placid, the luxurious yet kid-friendly Whiteface Lodge is offering an Easter weekend with an array of fun activities and perks for the entire family. On Saturday, children age 11 and under can decorate eggs and then enjoy sugar cookies at the Ice Cream Parlor with a special appearance by the Easter Bunny. Later that evening all guests will gather for an Easter-themed magic show, and on Sunday morning, children can head outside for an egg hunt on the lodge's massive grounds. The magic show and all Easter activities for children are complimentary. Following the Sunday morning egg hunt, KANU, the lodge’s premier restaurant will also host a delectable Easter Brunch featuring dishes inspired by the local Adirondack region. More good news: Families will receive a late checkout time of 2 p.m. at no extra charge on Easter Sunday, making time for one last swim, spa treatment or even a half-day of skiing. West Virginia's historic resort The Greenbrier is going all out for Easter with a third-night-free offer and an Easter display featuring 850 pounds of chocolate sculpted into rabbits, eggs and more. During Easter weekend, there will be dance parties, puppet shows, jelly bean contests, a Bunny Hop Fun Run, photo ops with the Easter Bunny, and a larger-than-life Easter egg hunt for kids, while adults can relax and enjoy special wine tastings, art exhibits, fashion trunk shows, cooking demonstrations, and a special adult Easter egg hunt. The weekend will conclude with Easter brunch in the resort's Colonial Hall.